BIG BEAR LAKE, Calif./ August 26, 2013 – New at this year’s Big Bear Lake Oktoberfest is an outdoor stage in the Spaten Bier Garten plus two Friday evenings have been added to this year’s schedule. The new stage was added to give festival goers more entertainment and keep a lively atmosphere throughout the festival grounds. This means the main indoors stage and the new expanded outdoors stage will have live entertainment happening simultaneously every Saturday from September 14 to October 26. 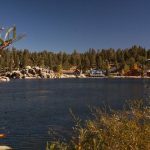 The added Friday evening events called Oktoberfest Unplugged treat patrons to an inside look at the early days of Big Bear Lake Oktoberfest and its 43-year old history through storytelling and song and dance. 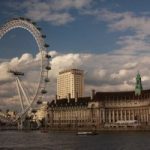 The intimate Friday evening events present a fine dining experience with a five-course German dinner paired with a variety of German beers and spirits. Oktoberfest Unplugged includes traditional German polkas and sing-alongs as well as amusing storytelling by Oktoberfest founder/ Über -Burgermeister Hans Bandows and other Oktoberfest personalities. The Friday evening Oktoberfest Unplugged dates are October 11 and October 18. The cost is $95 per person, which includes a five-course pairing meal, entertainment, a commemorative one-liter dimple stein, and free admission for Saturday’s Oktoberfest celebration. “We have more entertainment than ever before with the expanded bier garten stage and two bonus Friday celebrations,” said Monica Marini, director of The Convention Center at Big Bear Lake. 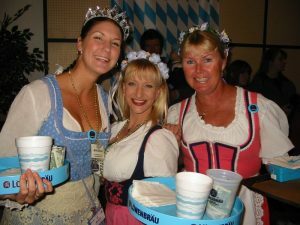 The spirit of Bavaria comes to life in Big Bear Lake for seven consecutive weekends starting Saturday, September 14 and ending October 26, 2013. The entertainment tops off with Die NEW Mainflösser (direct from Germany), they perform the second to fourth weekends, and The Express Band, Southern California’s premier German band perform the first weekend and final two and a half weekends. Both bands play a unique blend of traditional German polkas and American pop music. 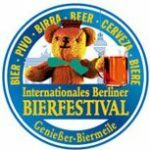 Big Bear Lake Oktoberfest prides itself as the closest thing to the original celebration in Munich, Germany. 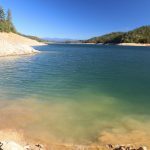 Big Bear Lake is situated in an Alpine environment with evergreens trees, mountain vistas, and a town-square village that reflects the scenery and heritage of the Bavarian Alps of Germany. Big Bear Lake Oktoberfest serves Warsteiner and Spaten beer (imported from Germany), dance troupes perform customary dances, the bratwurst is from a German butcher in Los Angeles, and fresh apple strudel is delivered weekly from a German bakery in Downey! 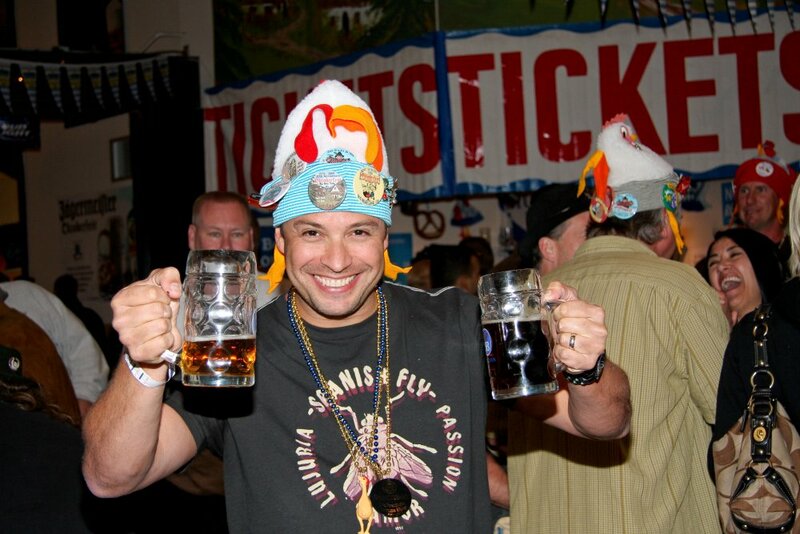 Fun competitions and contests at Oktoberfest include log sawing, stein carrying, shoot & yodel, a version of beer pong, sausage eating, stein holding, and limbo dancing. Children’s fun and games include pretzel eating contests, kiddy mug holding matches and Midway carnival-style games. The Chicken Dance is the definitive favorite dance at Oktoberfest and always amusing. Every weekend expect to see a huge dance floor filled with hundreds of revelers clucking away to the Chicken Dance. 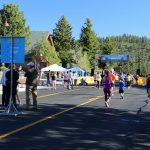 The Big Bear Lake Oktoberfest begins Saturday, September 14 and runs for seven consecutive weekends through Saturday, October 26, 2013. The weekend festivities takes place at The Convention Center of Big Bear Lake located at 42900 Big Bear Blvd. Big Bear Oktoberfest kicks off with American’s Hero weekend on Saturday, September 14 offering free admission for all past and present military, fire fighters and law enforcement. The first three weekends (Sept. 14-15 to Sept. 28-29) general admission on Saturdays is $14 for adults, $10 for seniors (65+), and $8 for children 12 and under; Sunday admission prices are $7 for adults, $5 for seniors with children 12 and under FREE. The next four weekends (Oct. 5 to Oct. 26) general admission on Saturdays is $18 for adults, $14 for seniors (65+), and $8 for children 12 and under; Sunday admission prices $9 for adults, $5 for seniors with children 12 and under FREE. Oktoberfest Unplugged events on October 11 and 18 are $95 per person. For more details regarding online ticket savings, Burgermeister and Über Burgermeister Party Packs, Kindermeister Party Packs (kid’s fun packs) and general information, log on to www.BigBearEvents.com or call 909-585-3000.